IMPORTANT: THIS PAGE IS NO LONGER BEING UPDATED WITH NEW OR AMENDMENTS TO SPECS SPEED CAMERA LOCATIONS. TO VIEW THE LATEST SPEED CAMERA LOCATIONS, INCLUDING SPECS, PLEASE SEE OUR SPEED CAMERA DATABASE. 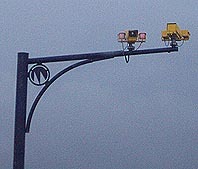 SPECS speed cameras or average speed check zone cameras are becoming an increasely popular sight on UK's roads. Unlike standalone fixed cameras like the Gatso and Truvelo which check the speed of a vehicle at an certain fixed positon on the road, SPECS cameras bring together a network of cameras to monitor and record a vehcles speed throughout the whole zone. When driving through/past SPECS cameras, you need to ensure that the average speed of your vehicle is within the roads speed limit. 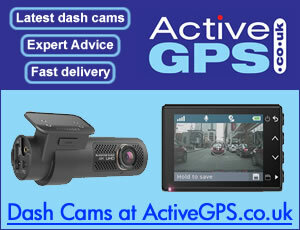 To read more about SPECS cameras click here. Below are the current SPECS speed camera locations in the UK, to read more and view each location simply click the place name/road where the SPECS camera is located. NEW Specs average speed zone now operating in Peterborough (Cambridgeshire) on A1139 Fletton Parkway to read more. NEW SPECS zone enforcing a new 60mph speed limit on the A1 Buckden to Southoe (Cambridgeshire) has also been installed - read more. Know of a SPECS camera system not listed below? Click here to report it us for inclusion in the UK speed camera database.